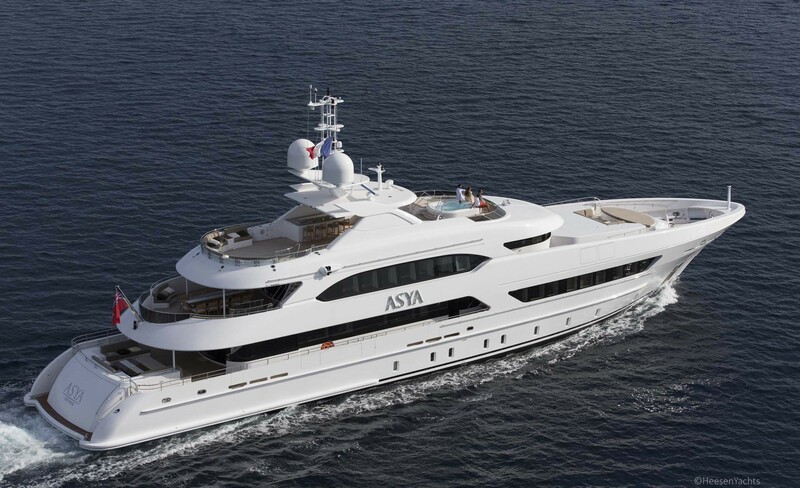 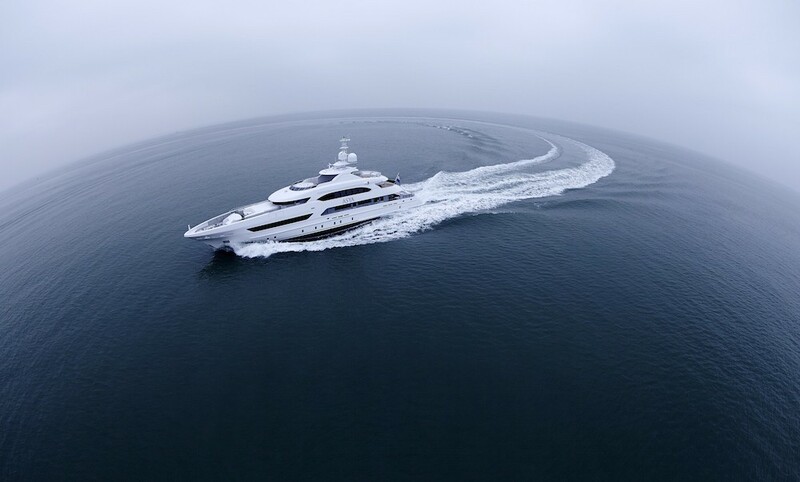 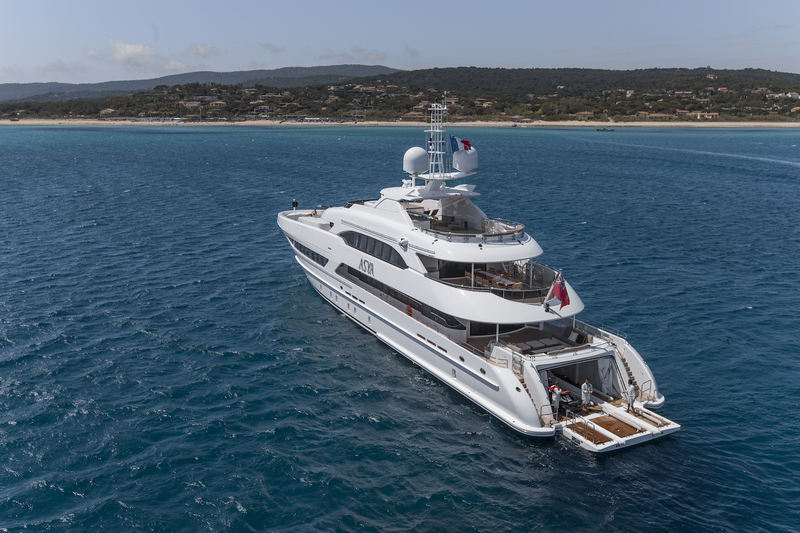 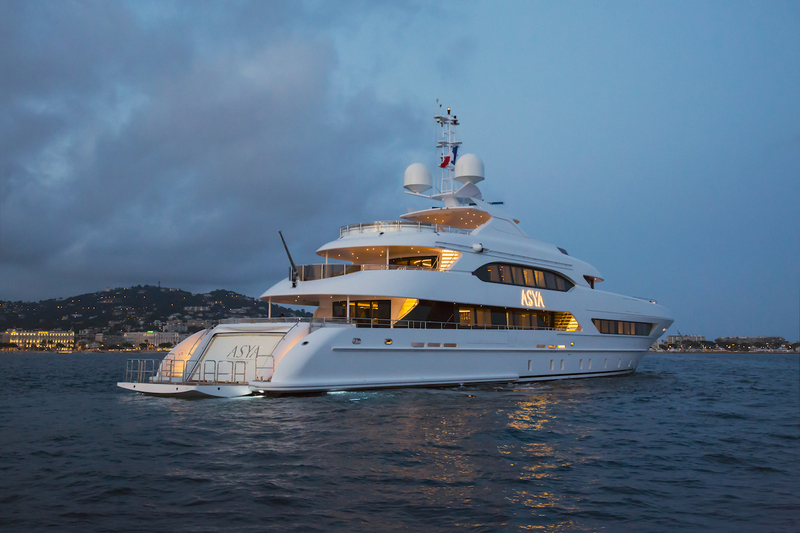 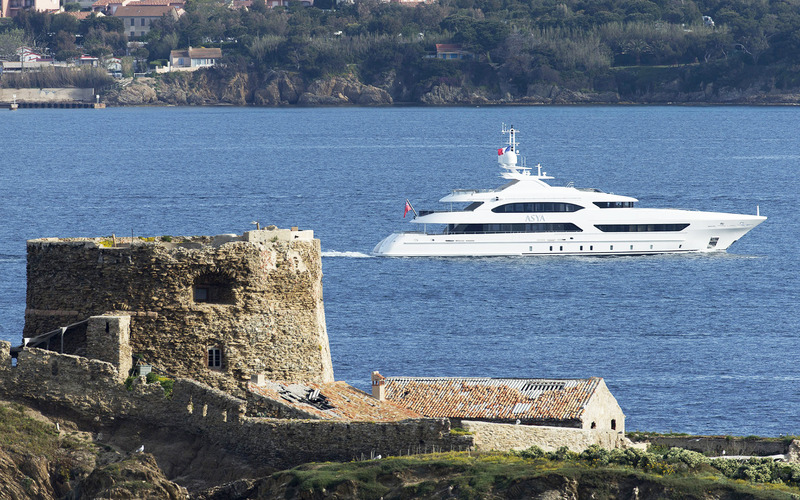 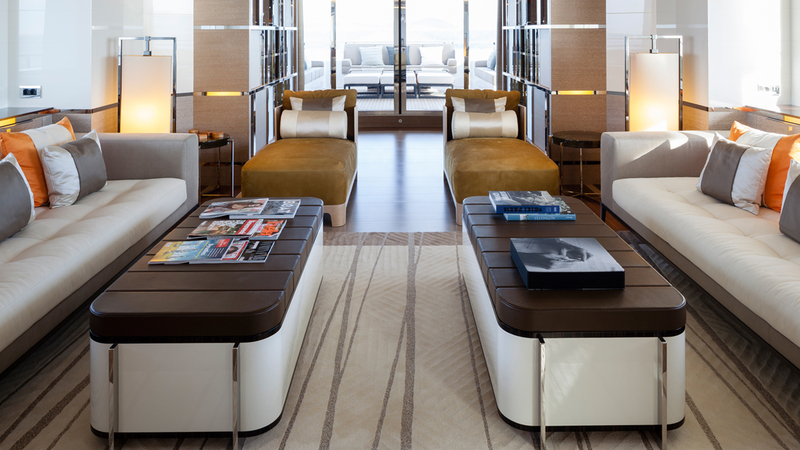 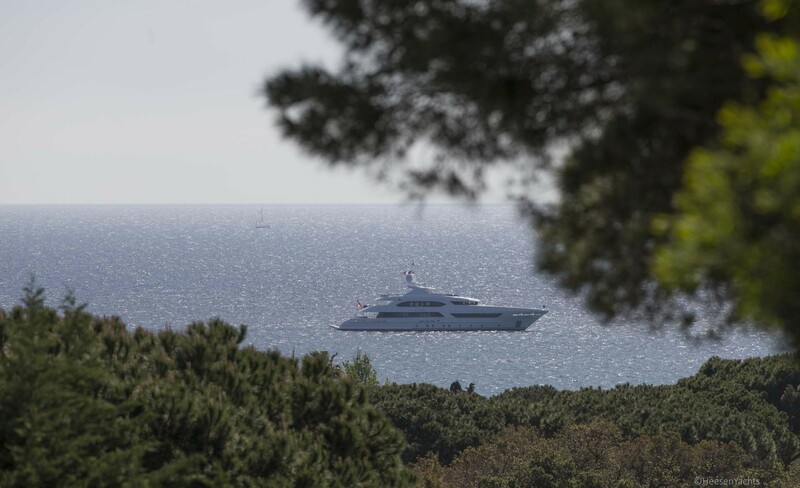 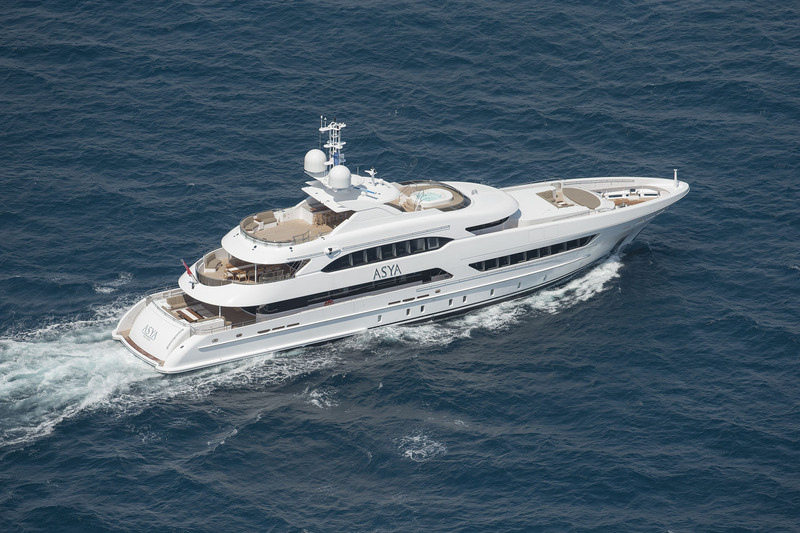 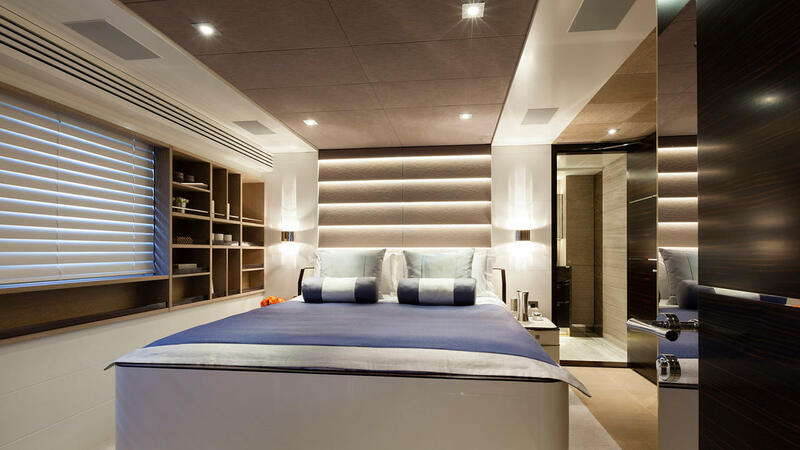 The 47m custom displacement superyacht by Heesen Yachts is a spectacular vessel, featuring striking exterior design by Frank Laupman of Omega Architects, while her modern yet luxurious interiors were penned up the Bannenberg and Rowell design studio. 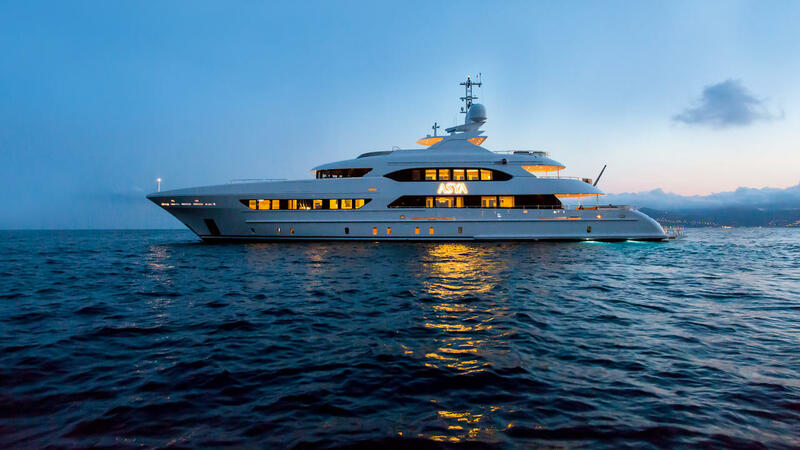 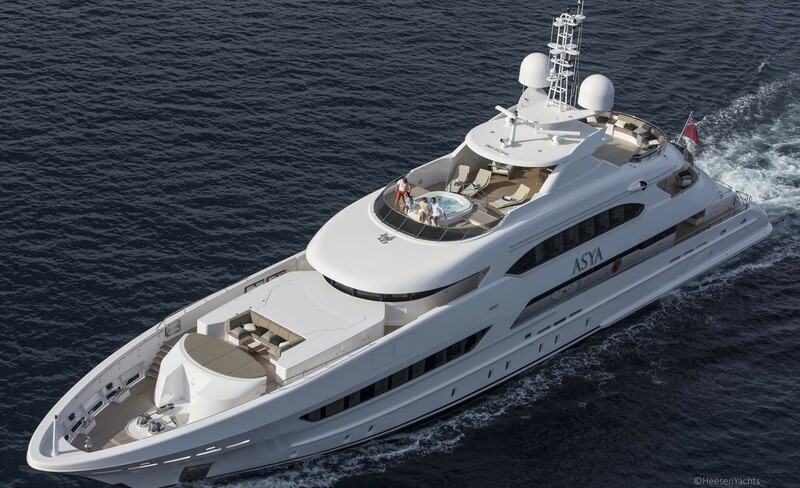 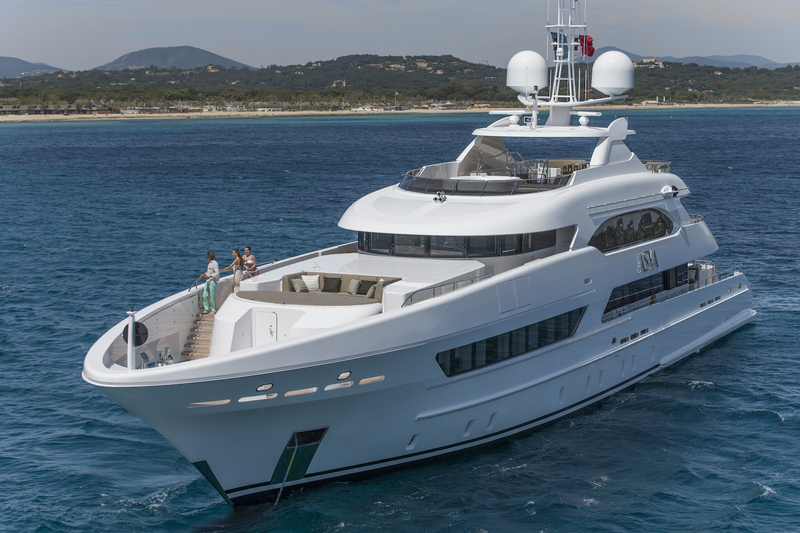 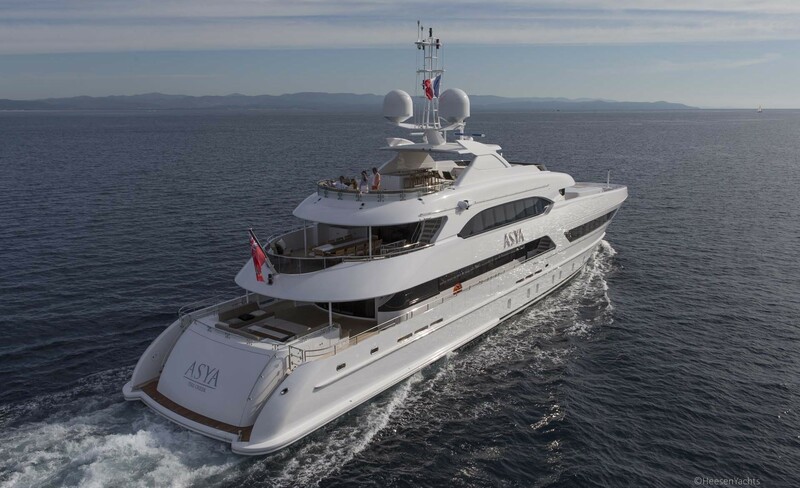 The yacht was launched in 2015 and has since cruised extensively, offering unprecedented comfort, safety, and amongst all opulence to her guests on board. 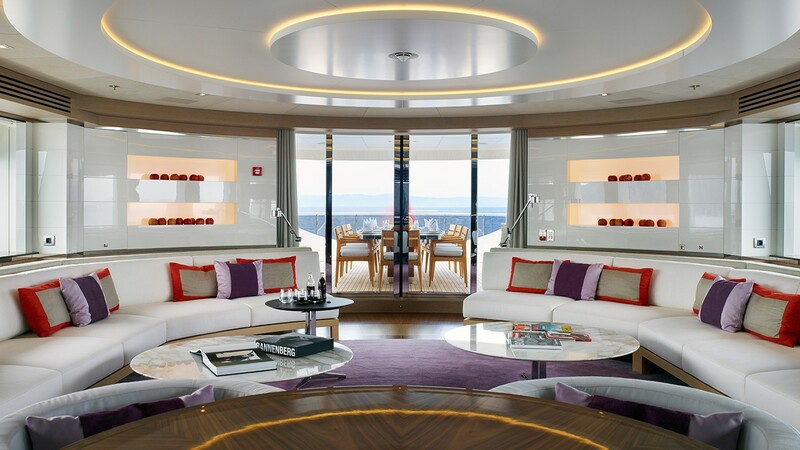 The exterior lines combine traditional elegance with modern style, further enhanced by the large glass windows as well as the matching black paintwork featured on the main deck as well as the upper decks. 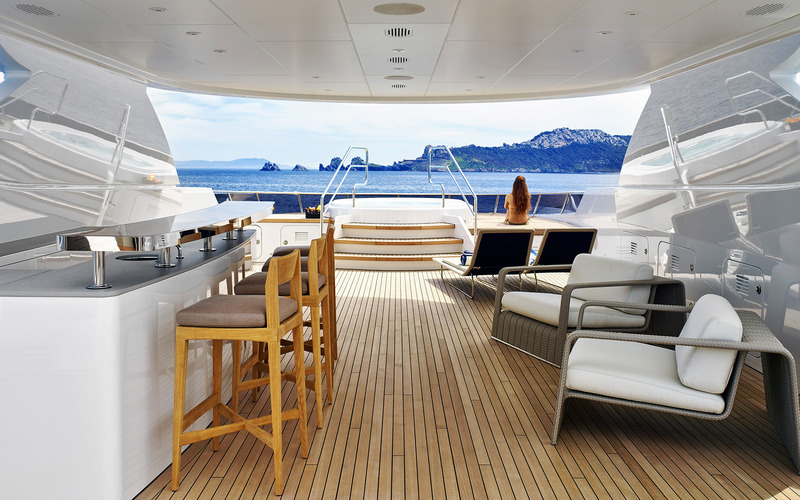 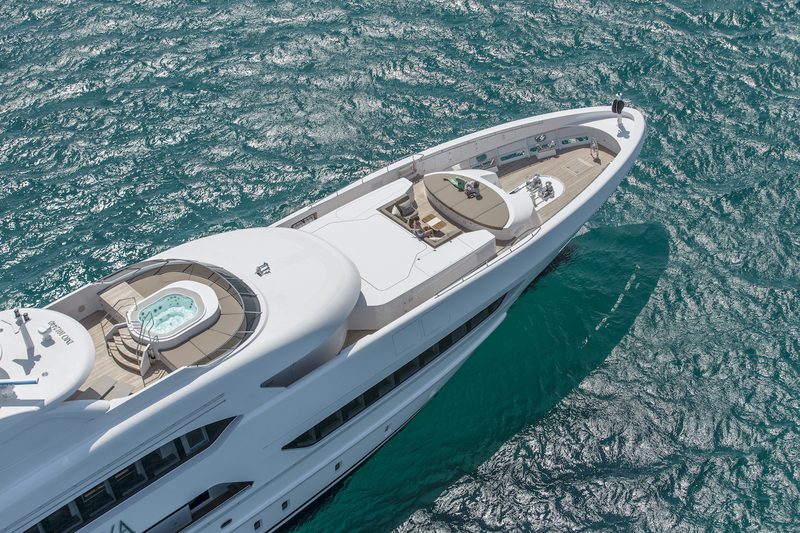 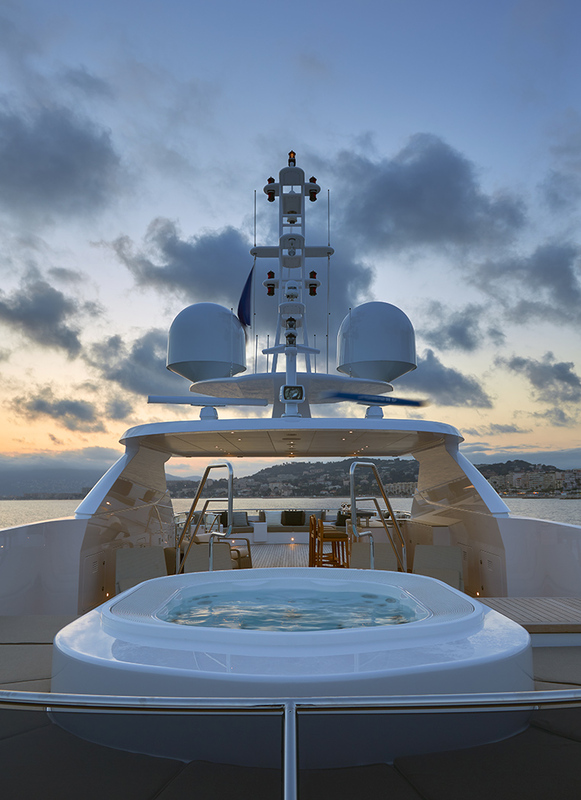 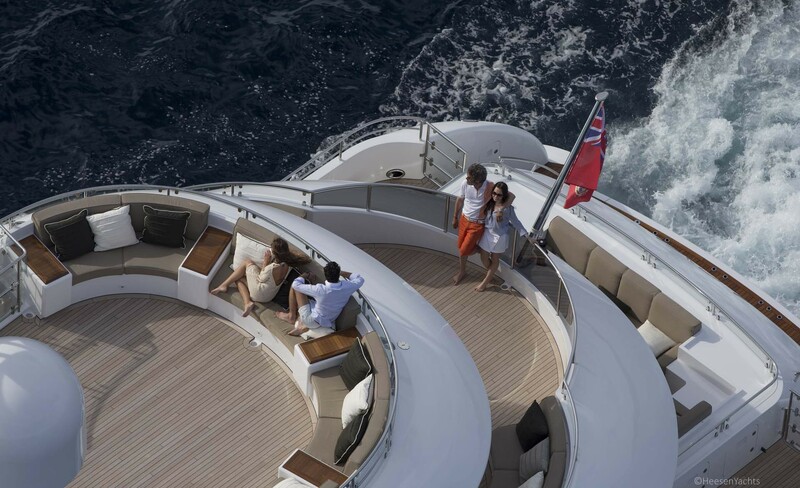 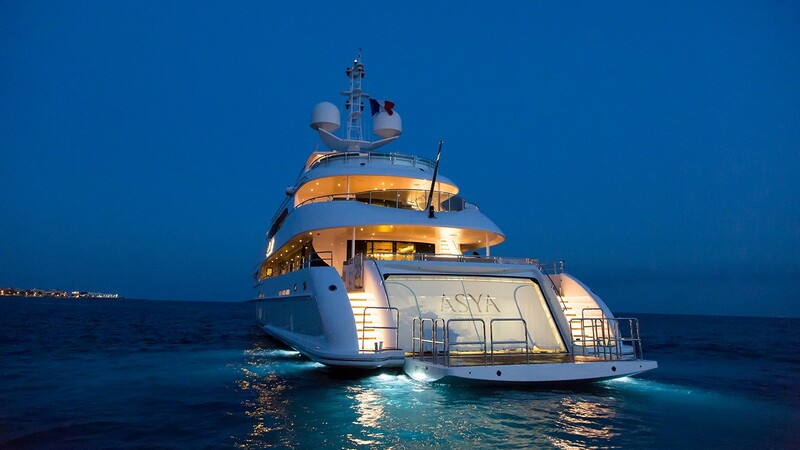 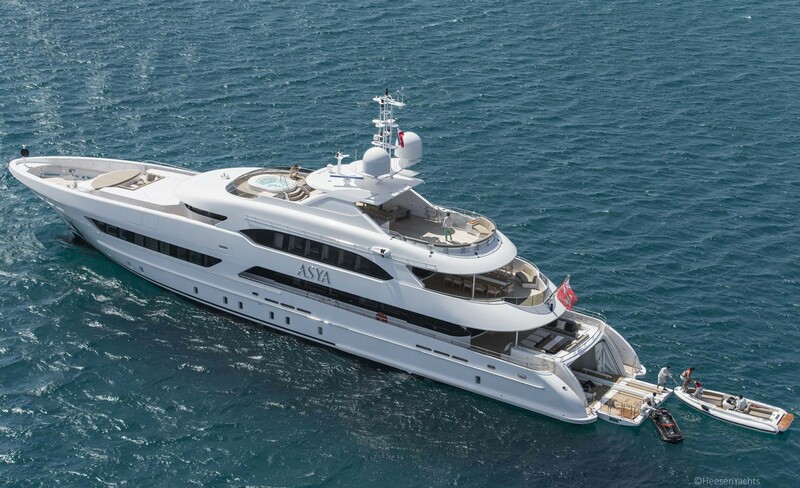 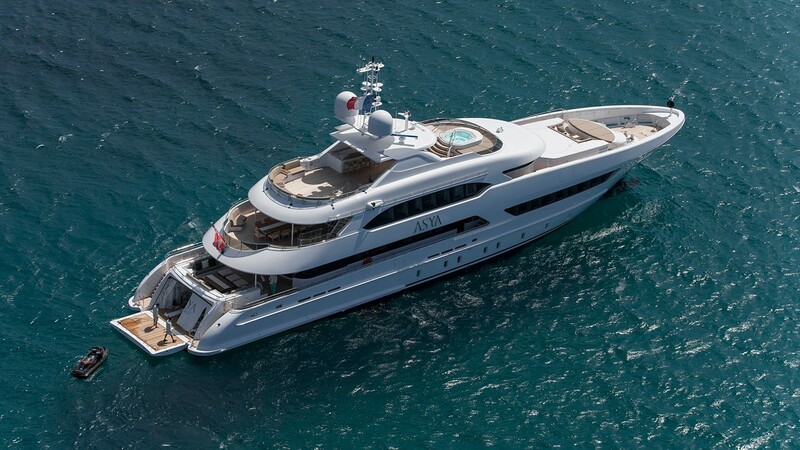 Sun decks are usually the most popular areas to hang out on and relax, and this yacht is no exception. 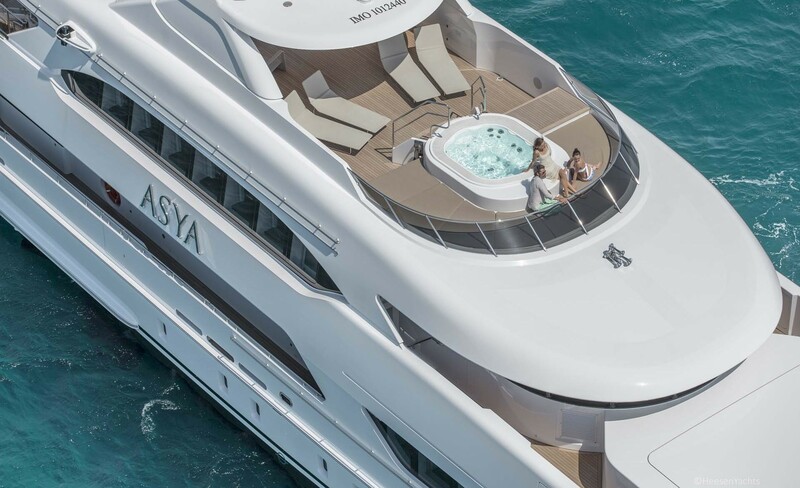 Her sundeck is vast and spacious, with plenty of lounging possibilities, including u-shaped seating or the sun beds placed closed to the Jacuzzi tub as well as around. 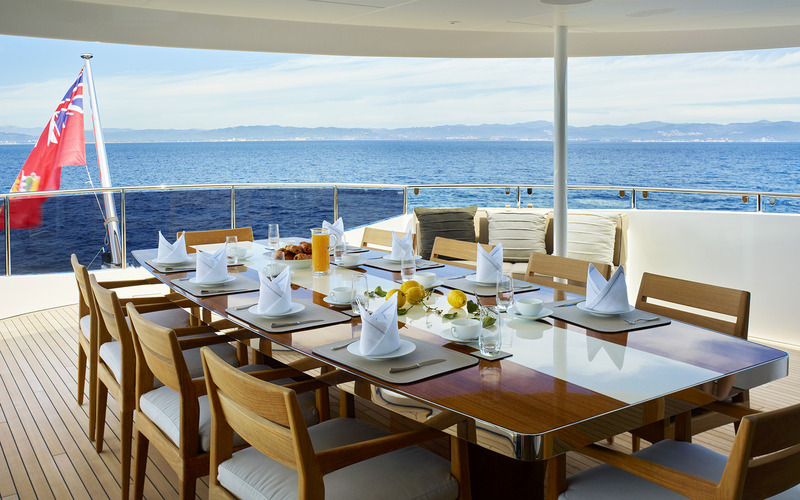 There is also a large al fresco dining table seating all twelve guests and an outdoor bar with bar stools - a perfect combination for a lovely meal under the open sky or some refreshing cocktails. 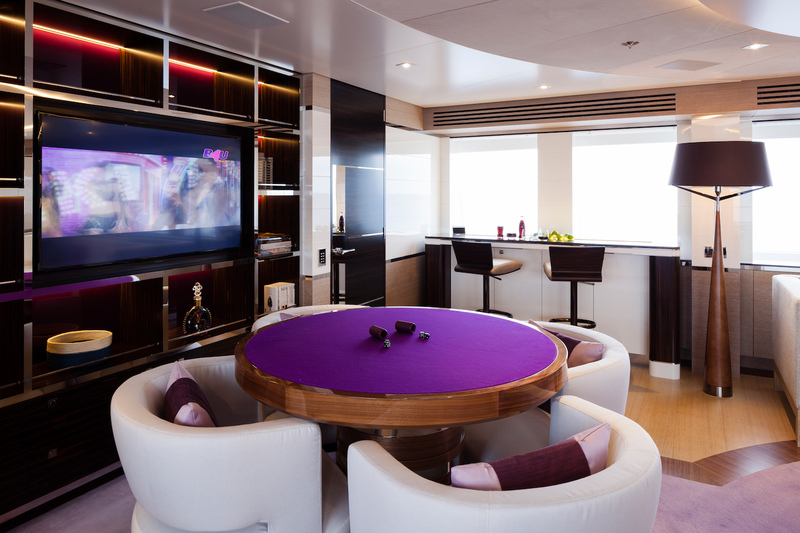 The upper deck features a spacious lounge area on the inside with circular sofas and coffee tables, as well as a bar and a games table. 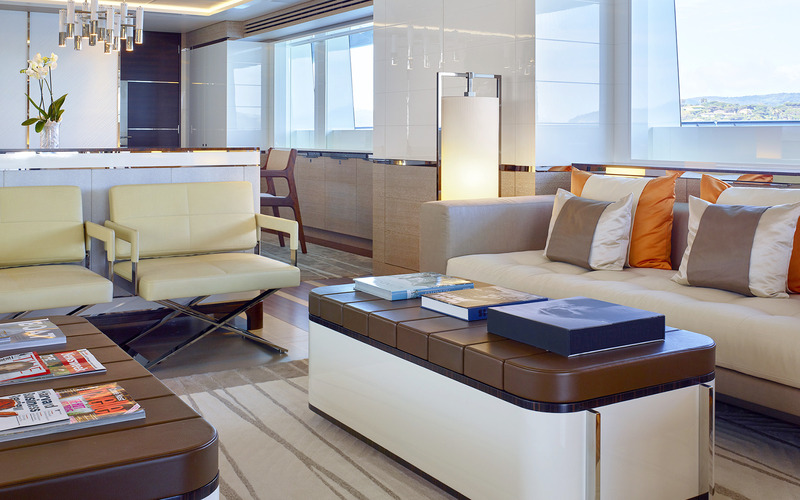 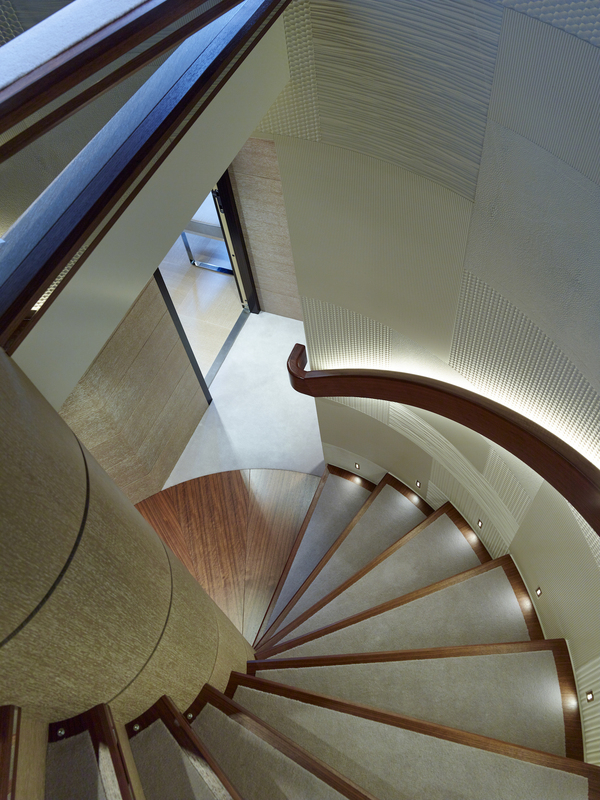 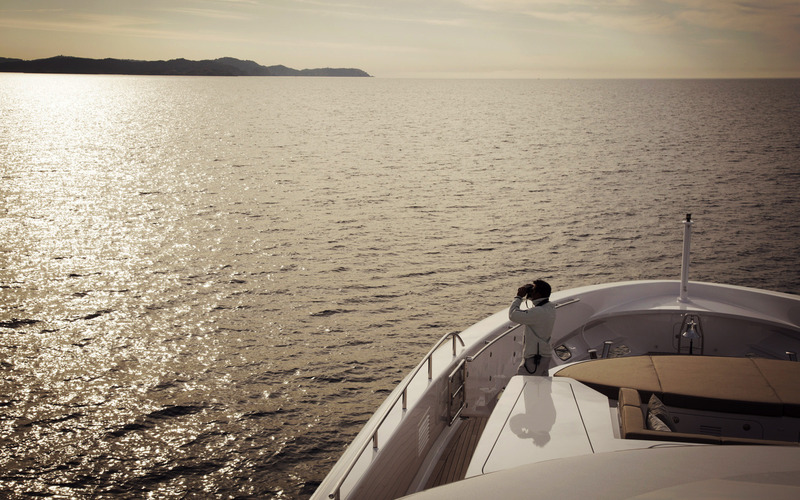 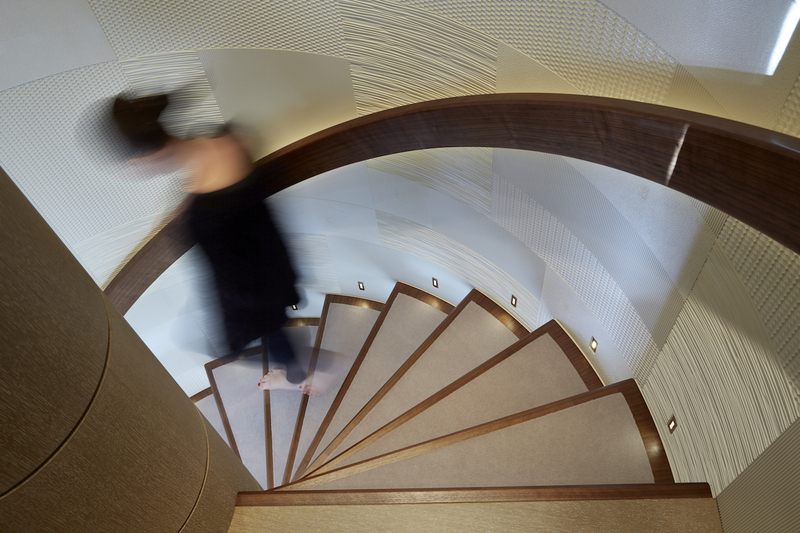 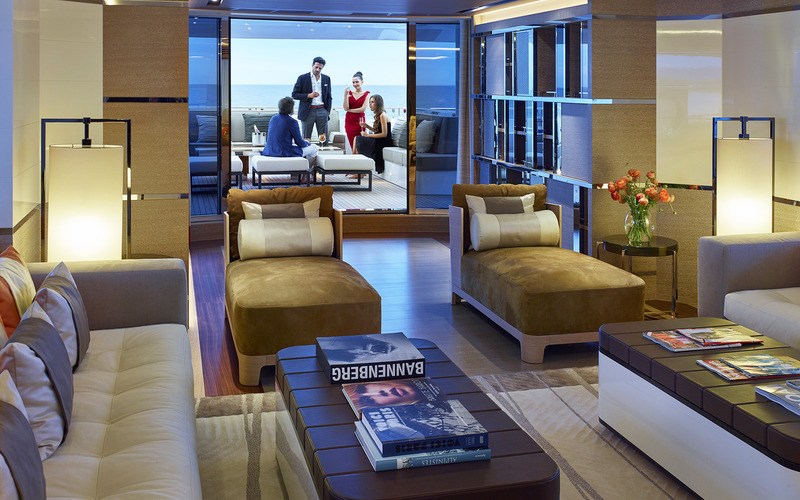 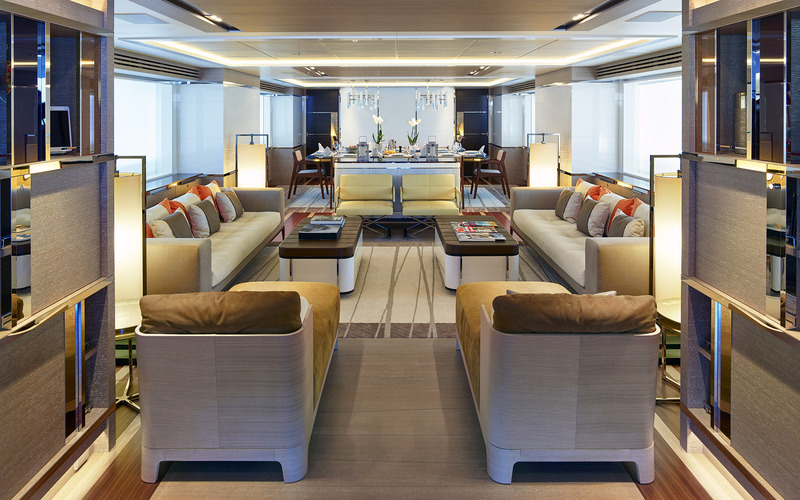 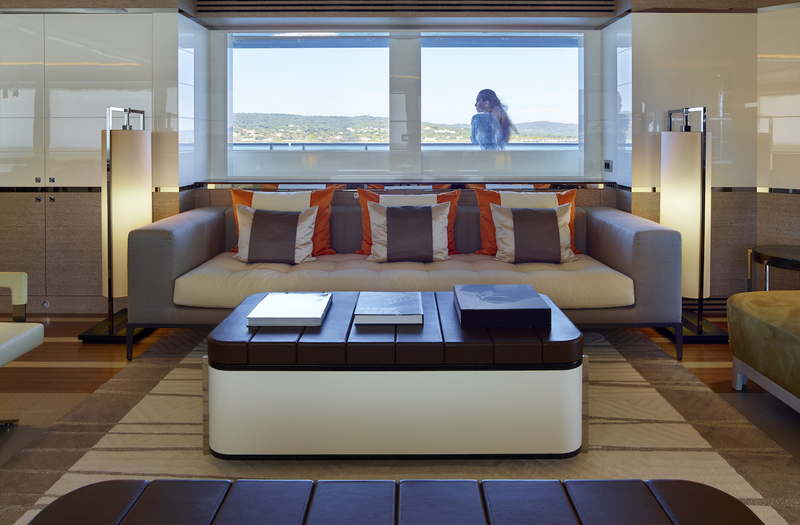 Moving out, the aft deck offers further possibilities to unwind or socialise. 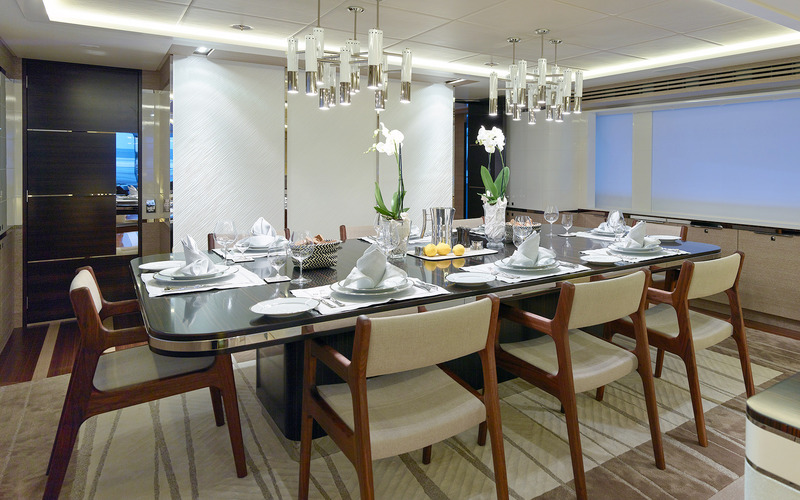 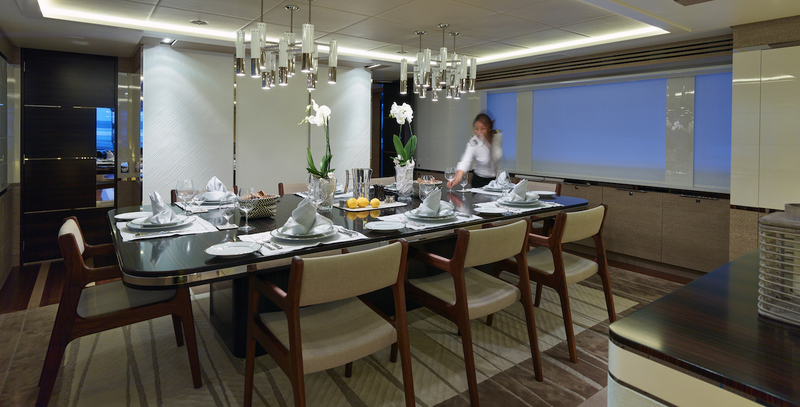 On the main deck there is the expansive main saloon with an adjacent formal dining area, with a magnificent large oval dining table. 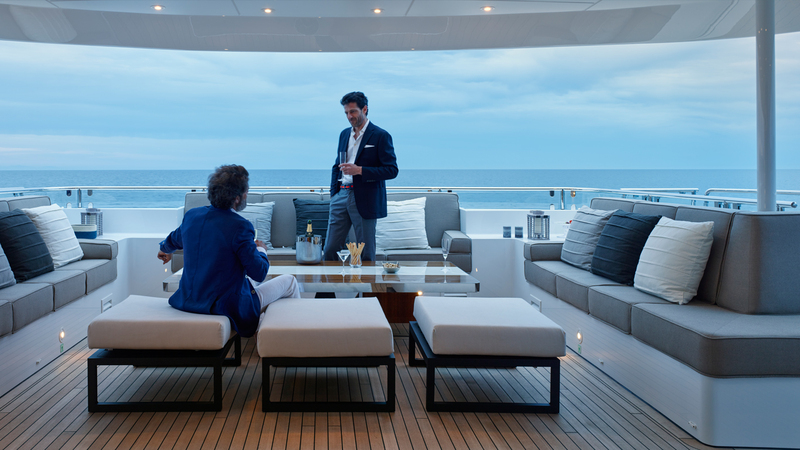 On the exterior the main deck area aft offers another al fresco dining possibility around a rectangle table and a spacious u-shaped sofa. 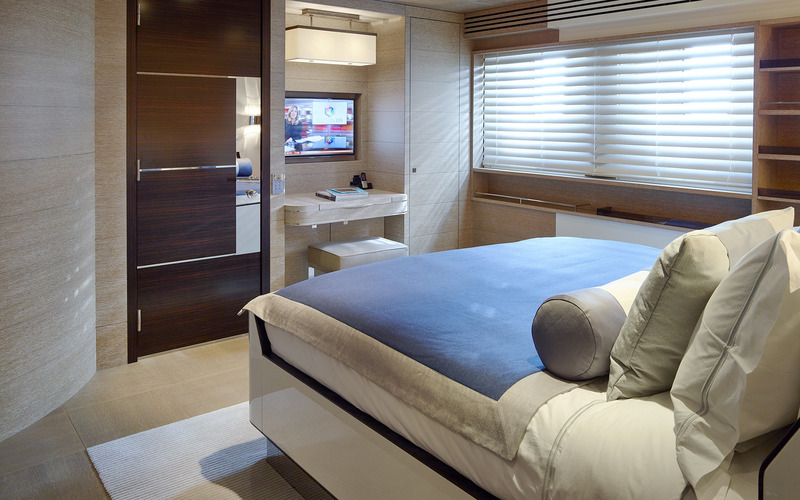 Forward on the same deck we have the owner’s stateroom with a huge en suite bathroom and a bath. 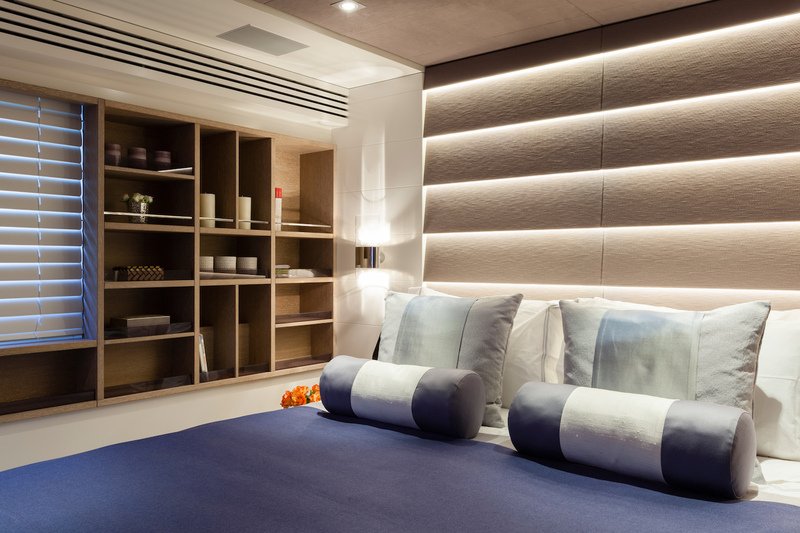 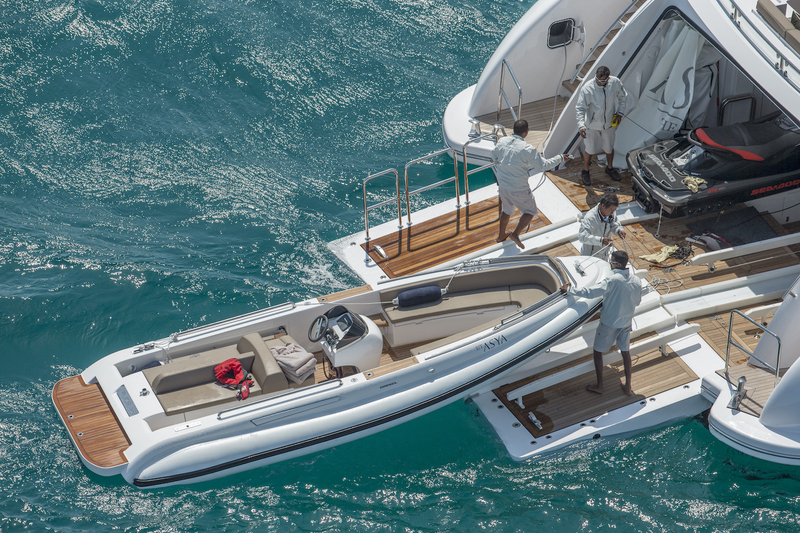 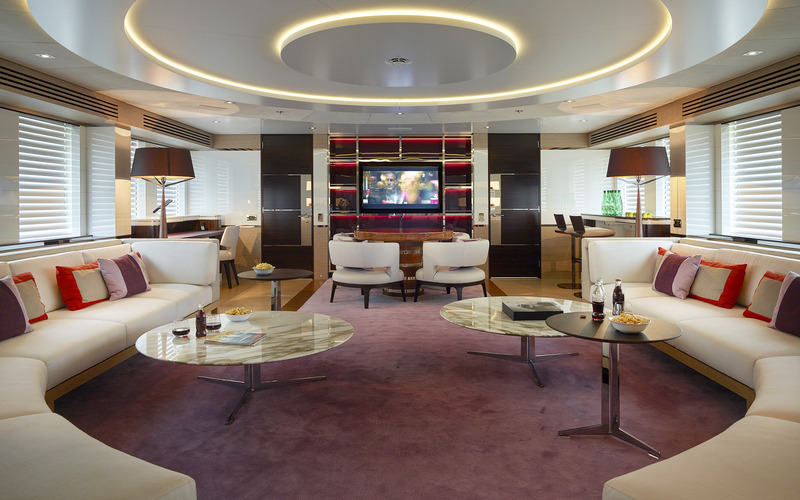 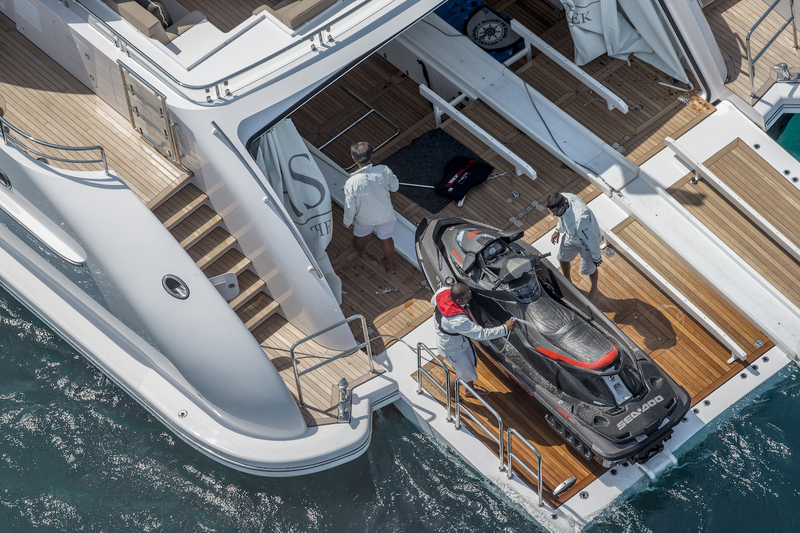 In addition to guests accommodation and crew quarters, the lower deck offers a large beach club area at stern, with a spacious platform to launch the tender, jet skis or enjoy the vast array of the water toys, with an easy access to the water. 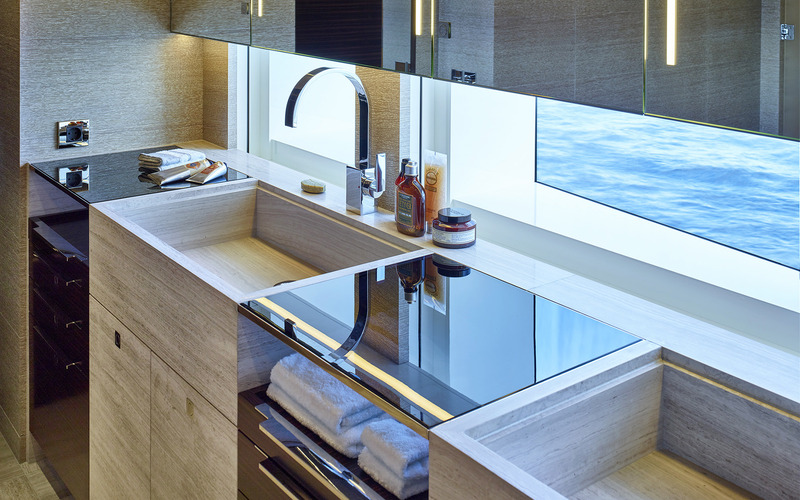 An expansive owner’s suite can be found on the main deck forward, offering a large bedroom area and a spacious en suite bathroom with a bath and fantastic views. 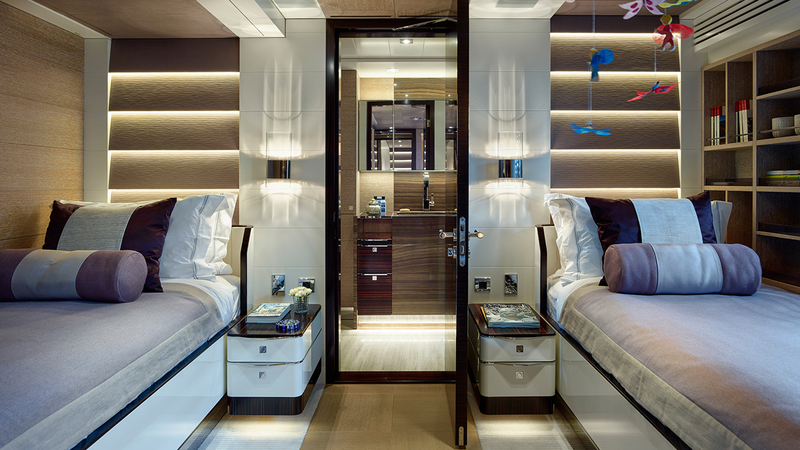 The lower deck is home to the remainder of the guest accommodation located amidships, featuring two double staterooms and two twin staterooms. 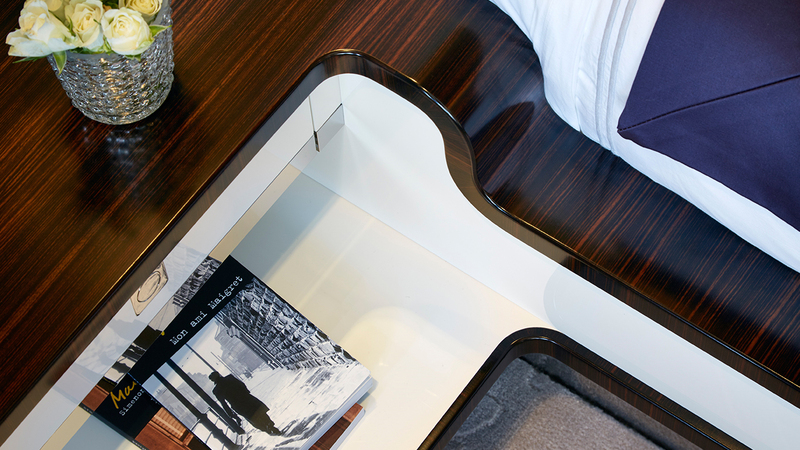 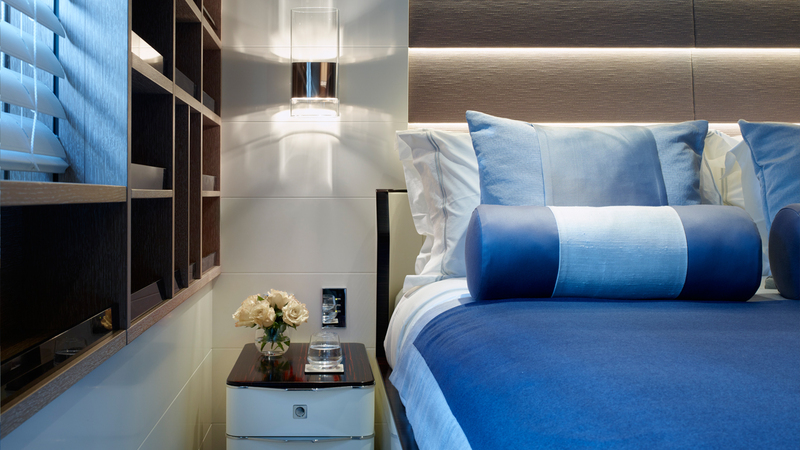 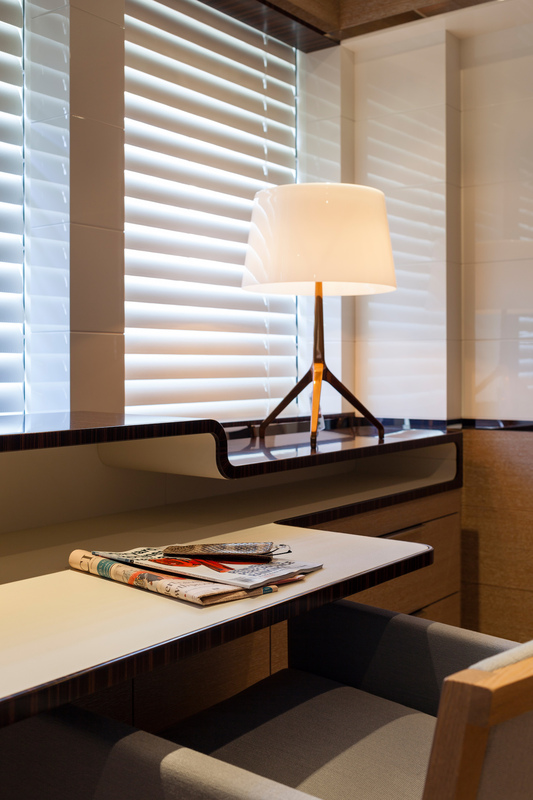 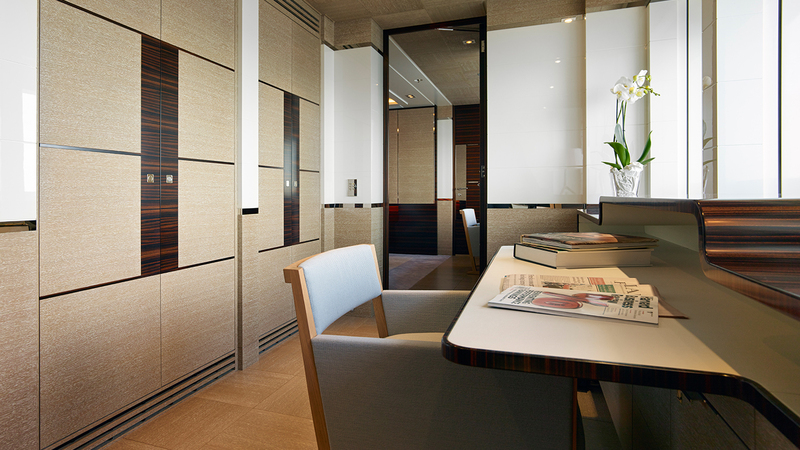 All accommodation offers private en suite bathroom facilities and luxurious amenities with deluxe furnishings and linens. 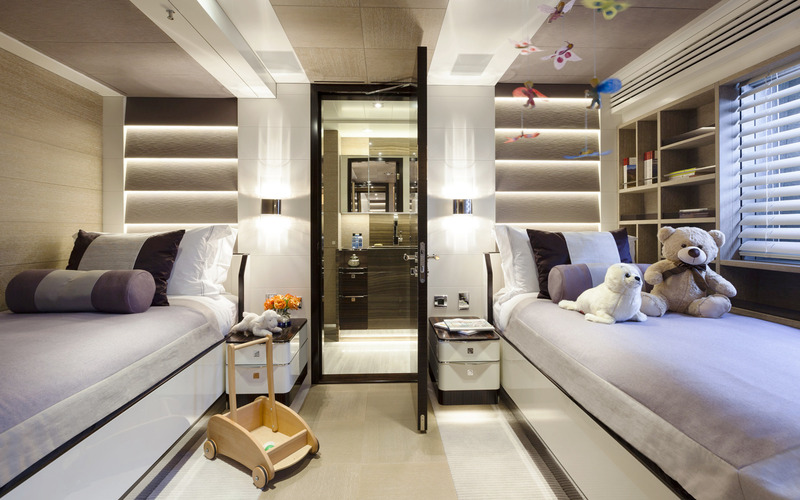 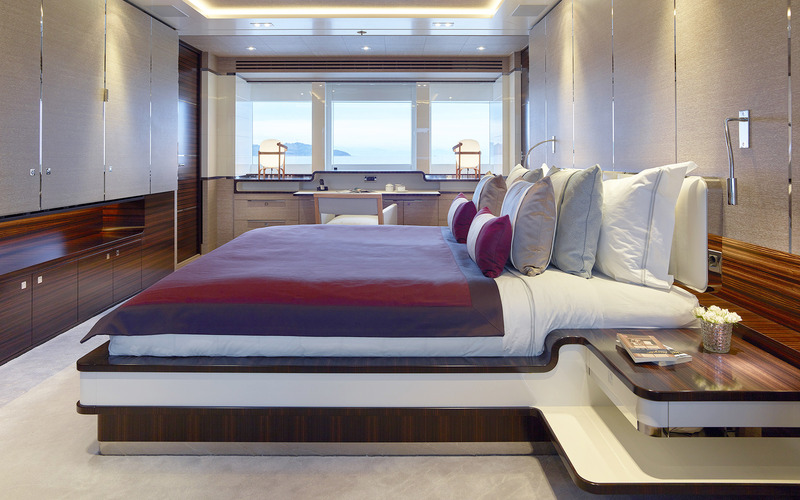 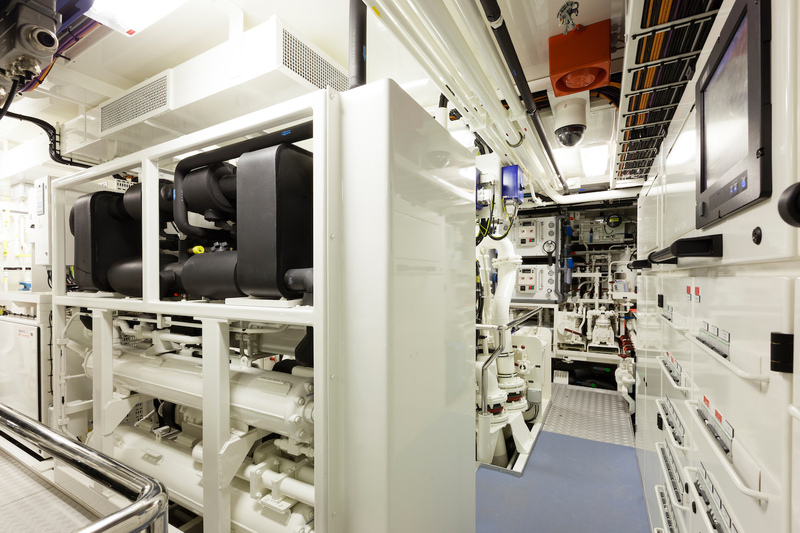 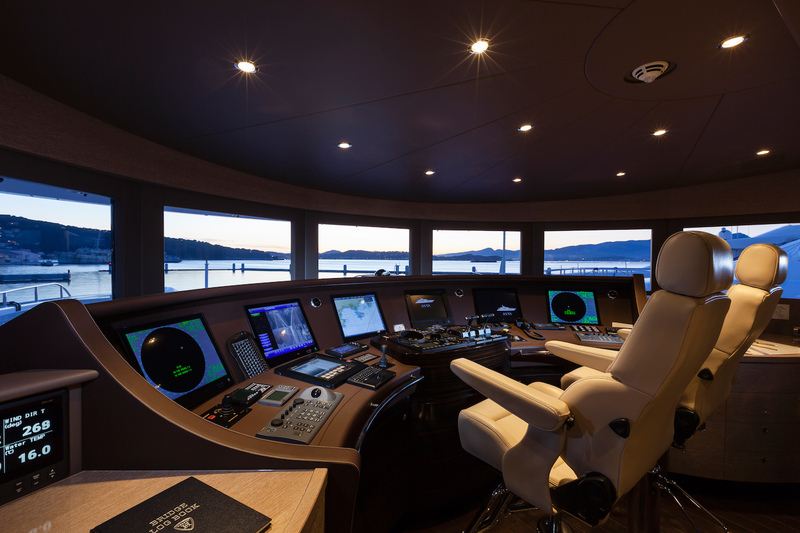 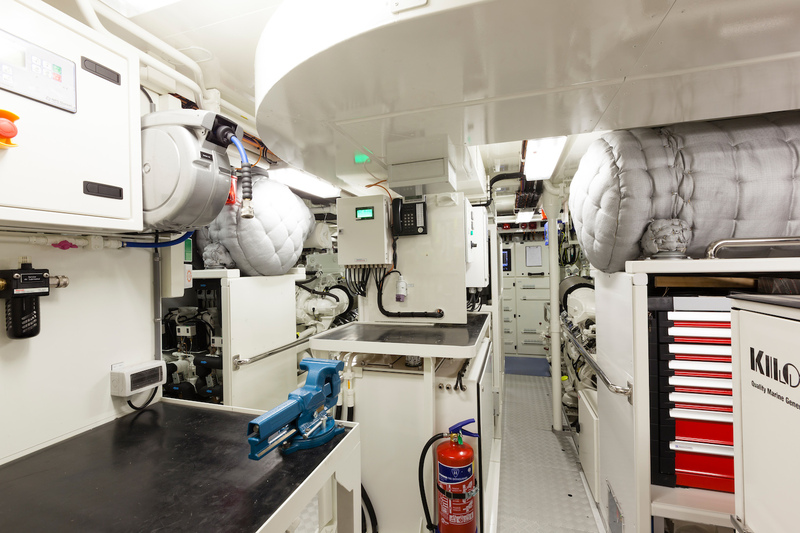 The crew quarters are situated on the same deck forward and offer cabins to up to 9 crew. 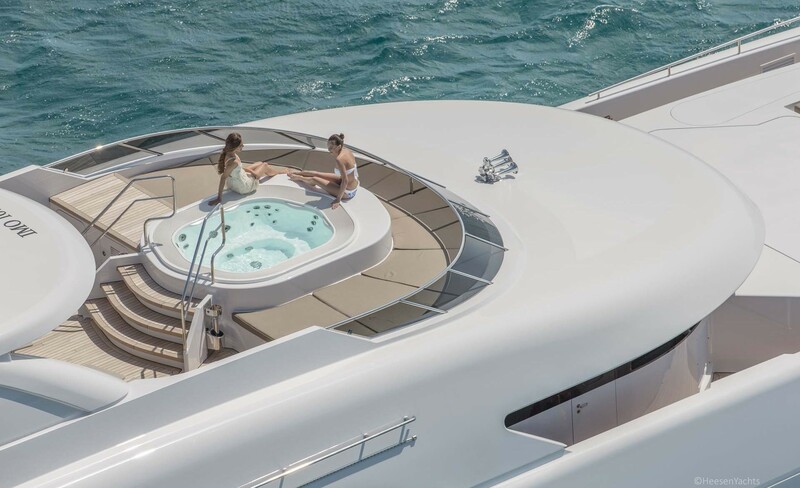 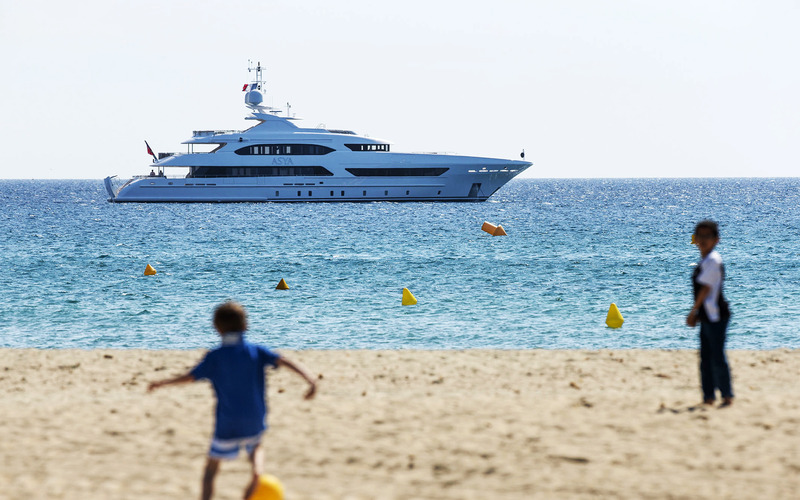 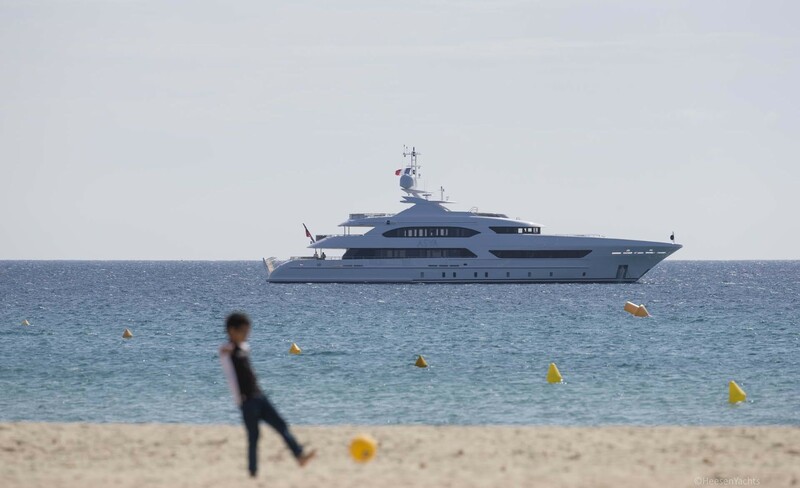 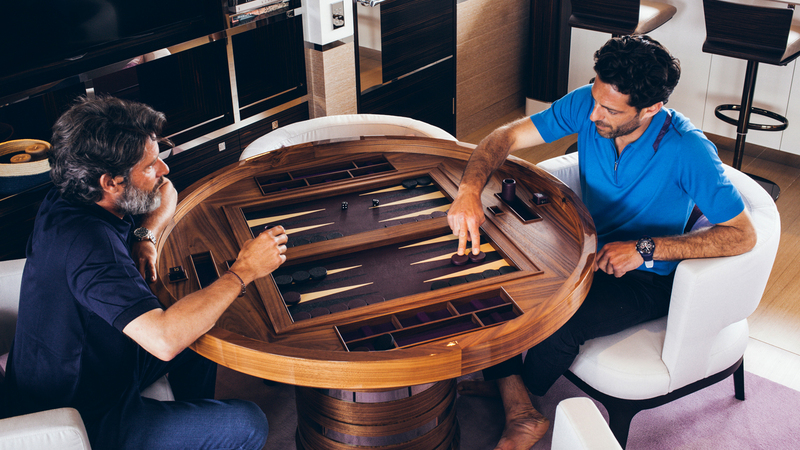 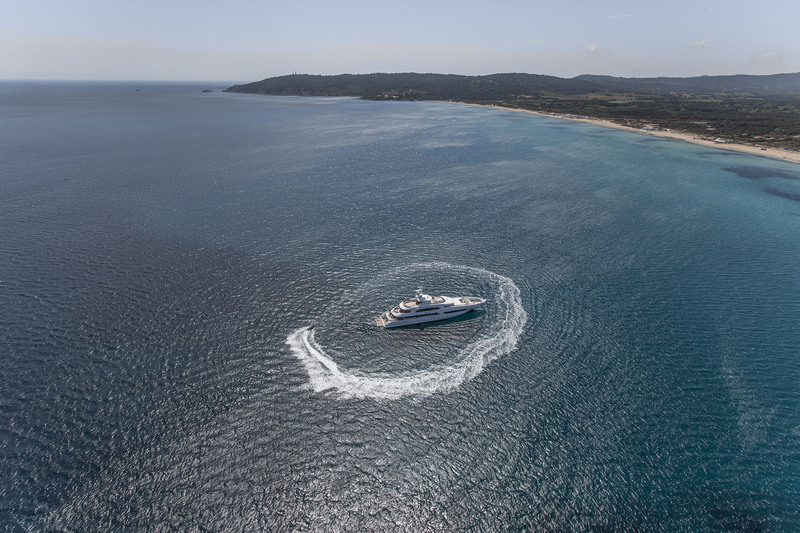 Superyachts are well known for their amazing selection of water toys and various amenities to keep charter guests entertained, as well as offer possibilities to continue with their preferred fitness routine. 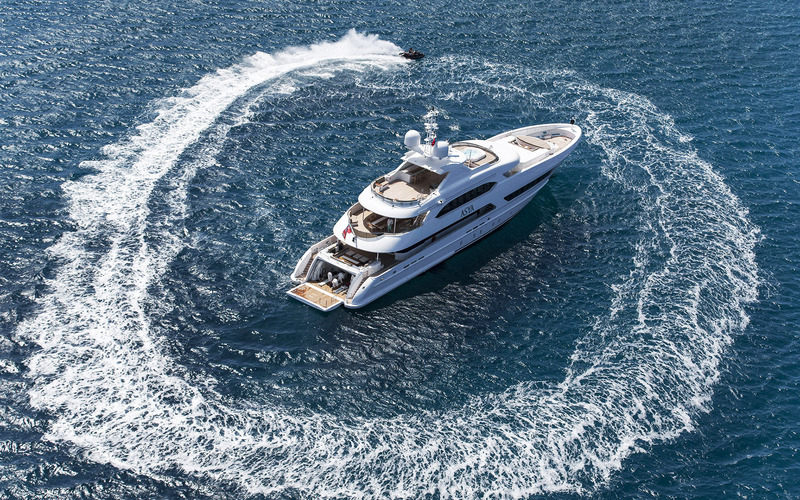 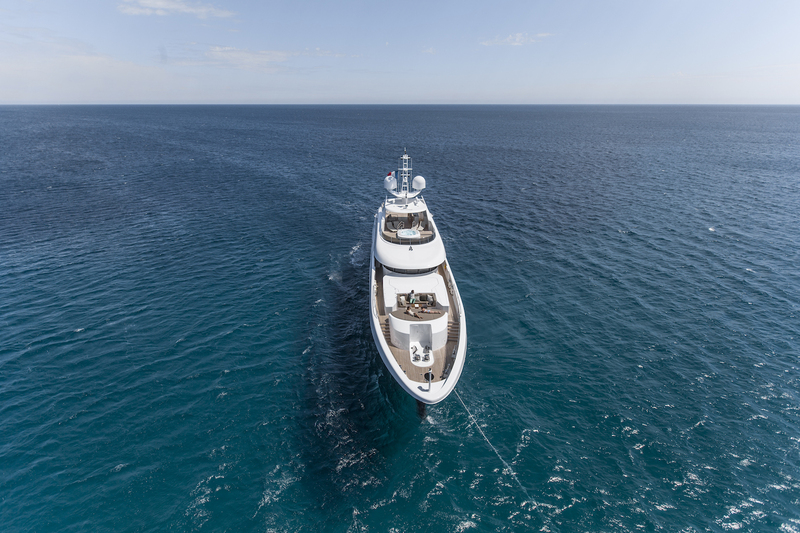 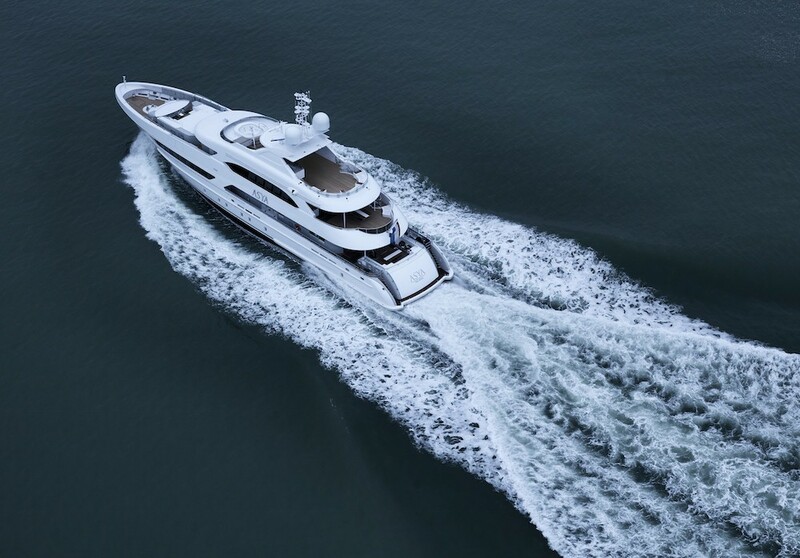 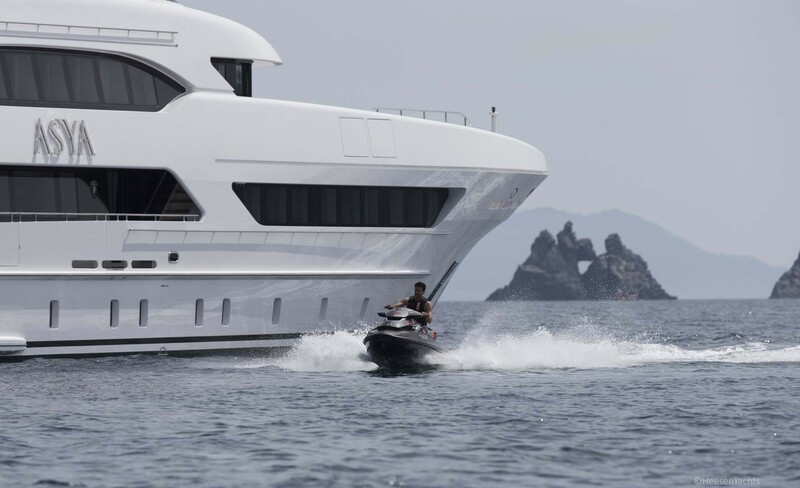 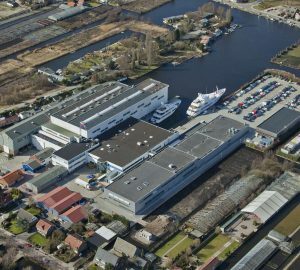 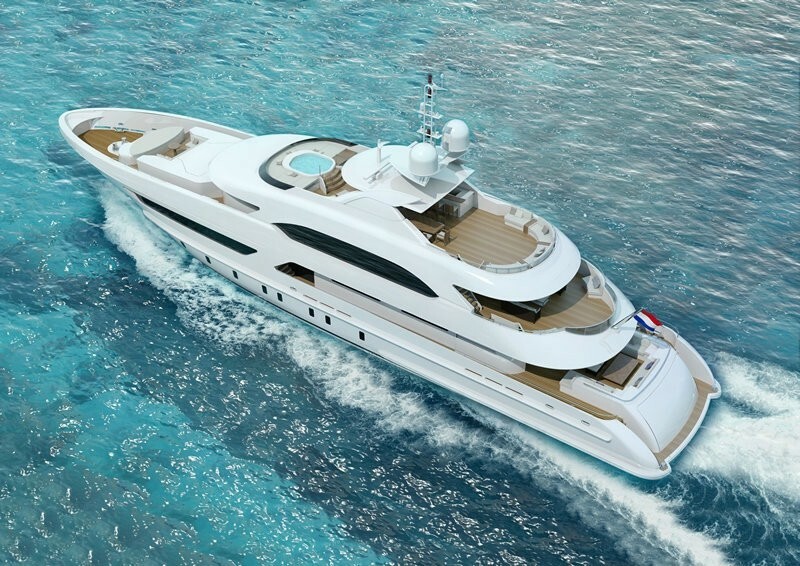 The 47m Heesen superyacht offers a range of toys, which include a seafood, standup PWC, seabobs, Jetsurf, towable toys, donut, towable banana, stand up paddles, water skis, wake boards, knee boards in addition to a custom tender. 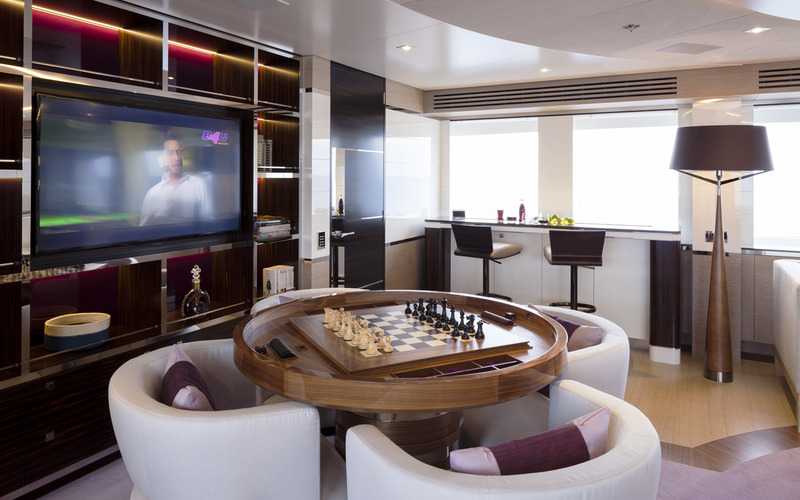 There is also a fully-equipped on board gym area with such amenities as various bars and dumbbell bars with weights, a bench, gym mats, mini stepper, twister, ab wheel, skipping ropes, strap training and yoga mats.